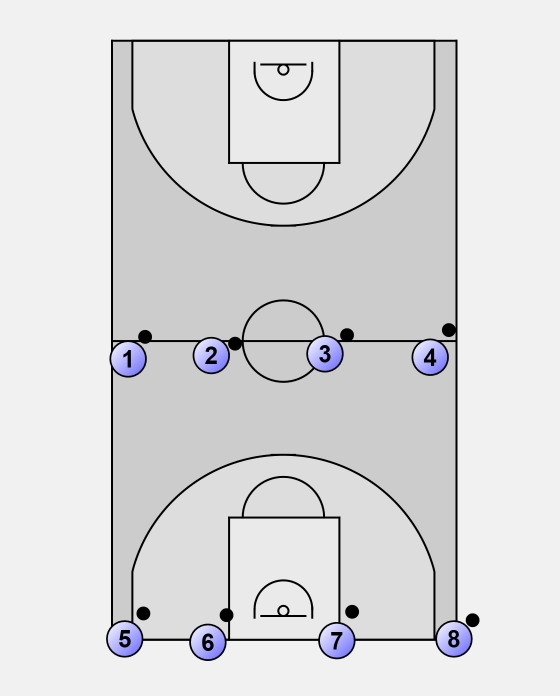 Use the extended free throw lines as extra markings on the court. The first four players start their dribble until the first extended free throw line. 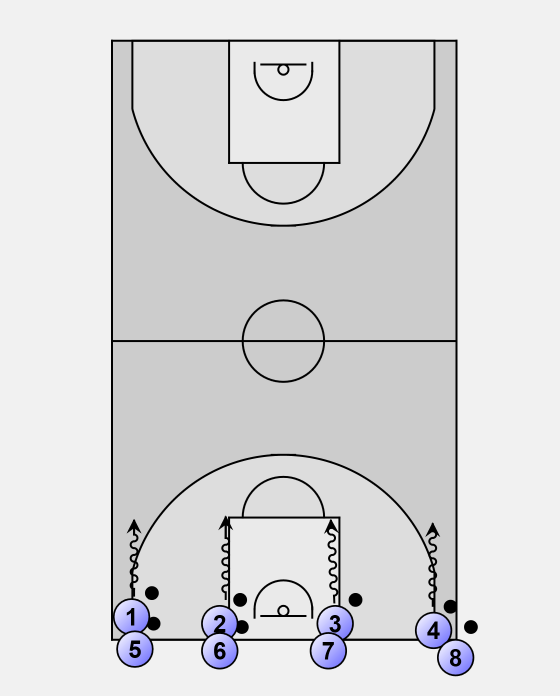 At the extended free throw line the players make 2 or 3 dribbles on the spot. After making the dribbles on the spot the first four players dribble (fast) to the middle line. At the middle line they make again 2-3 dribbles on the spot. When the first group passes the middle line the second group start. 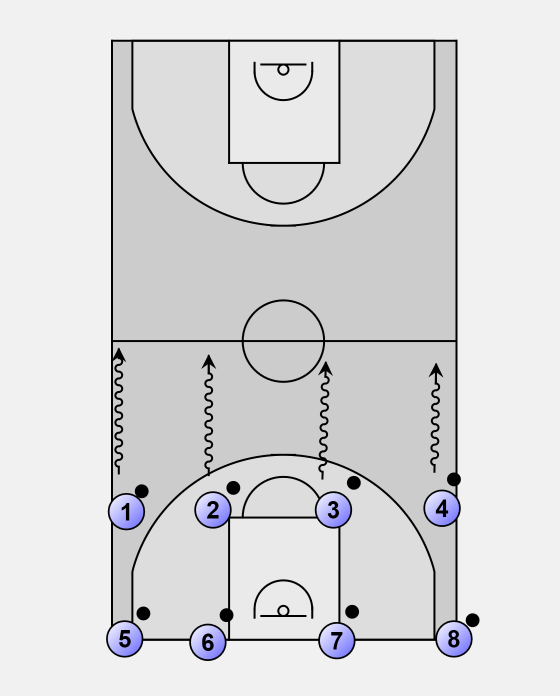 At both extended free throw lines the groups make 2-3 dribbles on the spot. After the first group reaches the baseline it waits until the second group has arrived before starting again to go the other way. 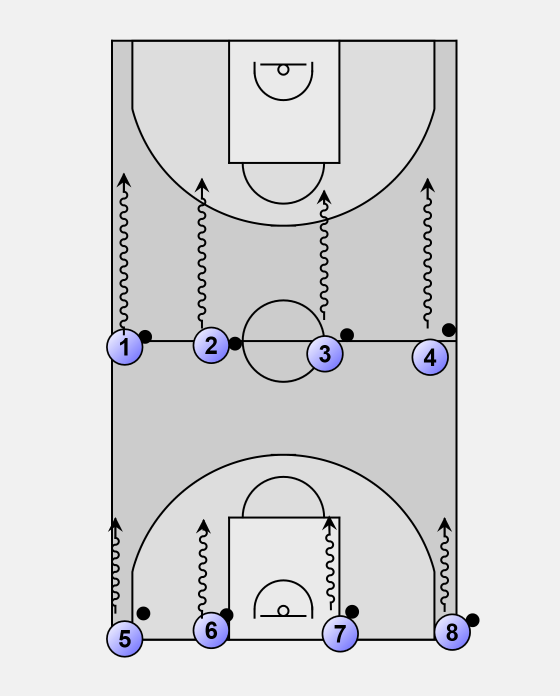 The coach can use whistle to let that the players know when to start moving again after dribbling on the spot, this will keep the drill in order.